I am thankful you are taking the time to read my story. It has greatly impacted my life and I am excited to share it with you. In my practice, we use standard medical testing in the form of blood, saliva & urine tests as well as hair analysis to evaluate the health and wellness of an individual. Our focus is FUNCTIONAL MEDICINE. We believe most illness is the result of loss of function which is 80% of the time brought on by ourselves….. By the way we eat and in the way we live. So we evaluate people and motivate them and show them how to change their lives. Well, the tables were turned on me this last few months. 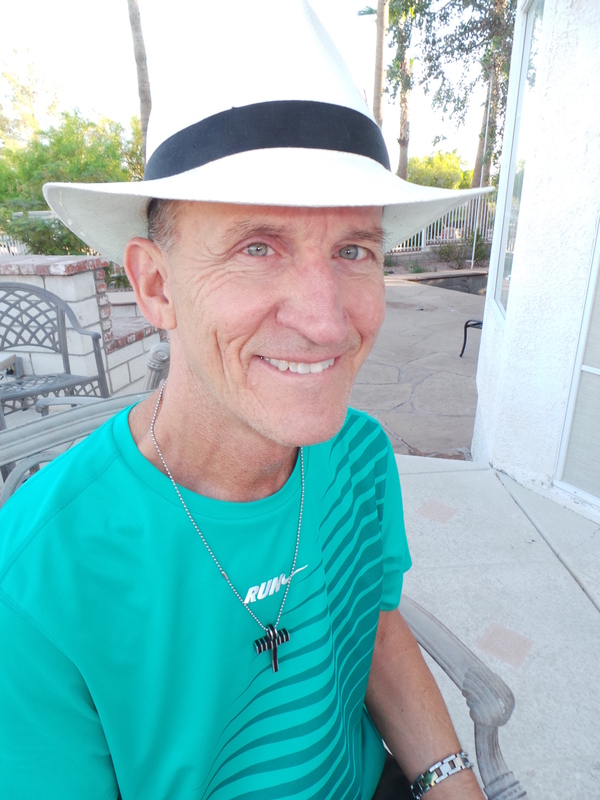 Even though my wife and I have healthy lifestyles, we exercise regularly, we are 80% Vegan with our food choices and we make conscious choices regarding the environment around us…. I had been struggling with a face condition for over five years. I had self-diagnosed my condition as rosacea. The pictures below were taken in 2011. 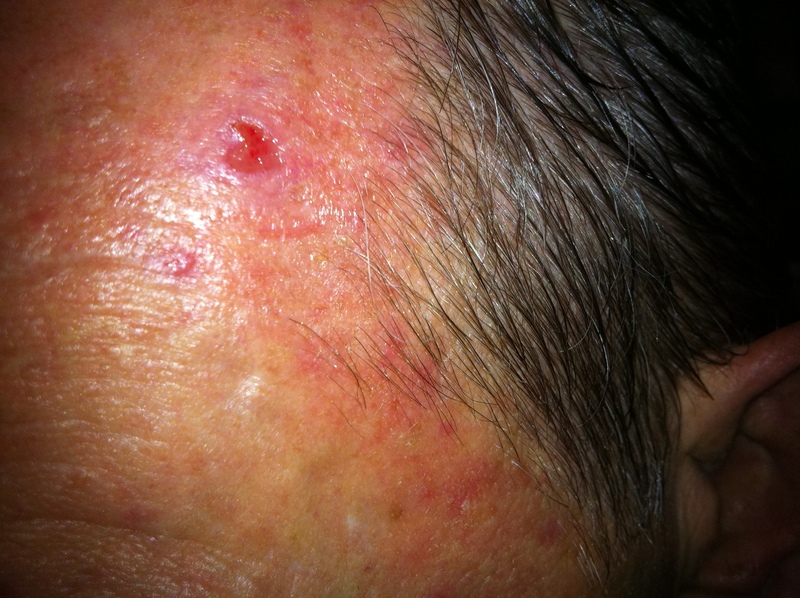 It was not uncommon for me to be dealing with open sores on my face such as the one you see here….. This is where my NERIUM STORY begins…..
Next to marrying my wife and having my children, it was the greatest moment of my life. I had been trying face creams and “5 step systems” for the last year and a half and had been wearing make-up to work to cover the redness and sores on my face. 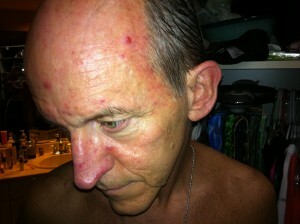 I had another open wound on my right temple area which, this time, was not healing. The sore had been open for over three months and I was just about to get it checked for cancer. So, a few days after my wife started Nerium AD, I started as well. I was amazed…. Within fourteen days*, the open wound on my temple actually started to heal and to grow skin over the wound. And as I continued using the product, I noticed the redness in my face started to change… and then I noticed the sores in my face started to reduce as well. I am thankful to say I no longer wear make-up to work every day. I have not had any make-up on my face for over a month now. 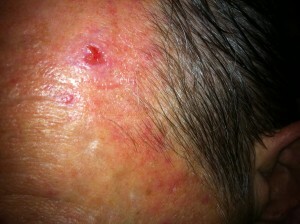 And as Nerium continues to work on my face, it is starting to remove old sores on my forehead. They are literally crusting and falling off.